My flickr contact eses moto posted this atmospheric street shot from Nagano, Japan taken with his Canon 5D II. My flickr contact eses moto took this image in the Tokyo metro with a Canon 5D Mark II. The shallow depth of field and light really make it work well, isolating the gaijin with buds on. I’m curious about the logo to the right of the arrow at the top of the image. Looks like a stylized MacDonald’s logo. What is it? My flickr contact eses moto took this outstanding night/rain shot in Tokyo, Japan with a Canon 5D Mark II. Brilliant shot. My flickr contact Andrew Mohrer took this great interior of the Fulton Center in New York with his Canon 5D Mark II. Fantastic color and reflection, a very cinematic shot and he’s known for a cinematic style or still photography. 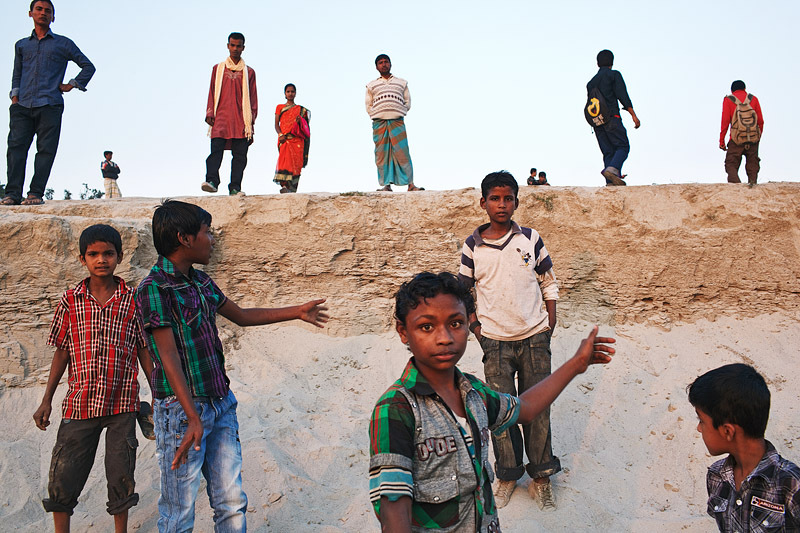 My flickr contact Maciej Dakowicz took this wonderful image of people on the banks of the Ganges River, Rajshahi, Bangladesh with his Canon 5D II. Flickr member Ioannis Lelakis took this great image in a small brick-factory in the suburbs of Marrakech, Morocco. 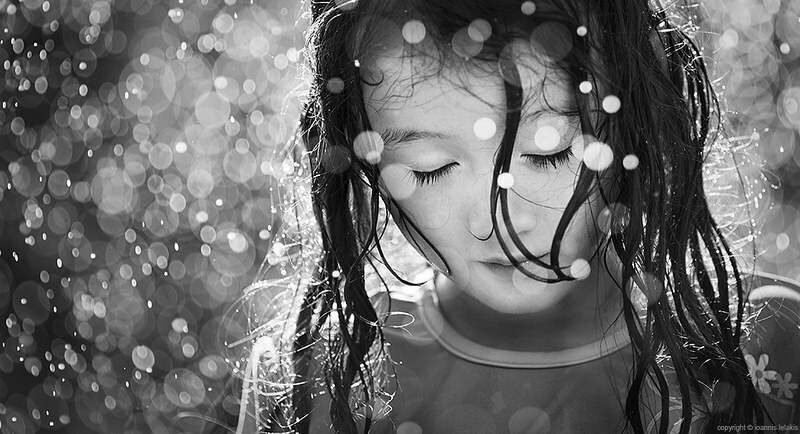 Flickr member Ioannis Lelakis has posted a wonderful image of a young woman and raindrops in bokeh taken in Norway. 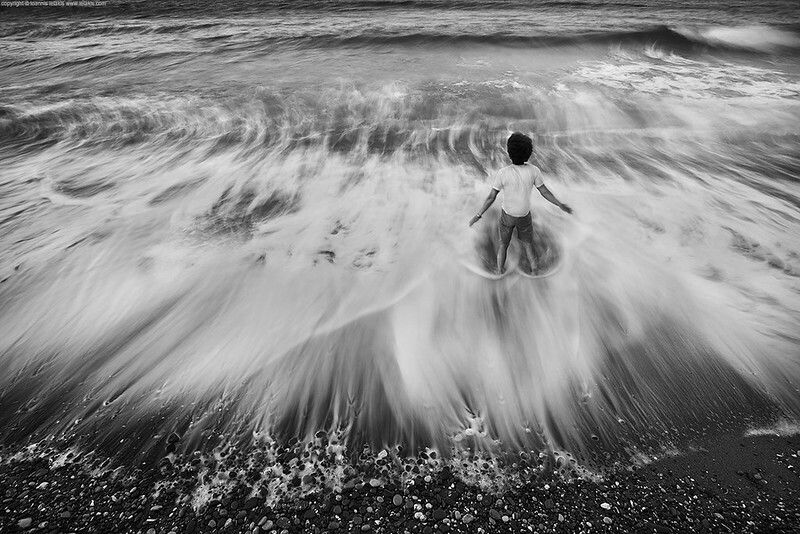 The long lens and large aperture made this image possible (and great). 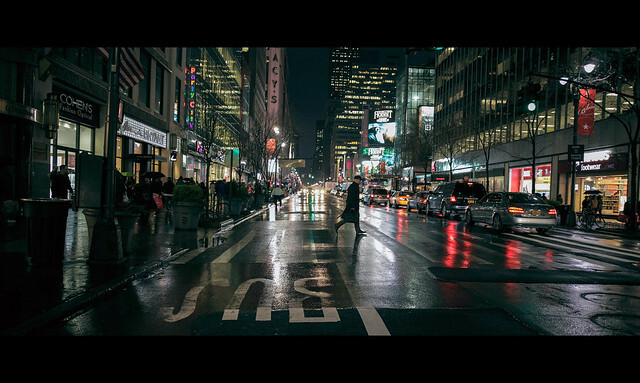 My flickr contact Andrew Mohrer has posted a very nice night shot of a street scene in New York. Not sure what I like about it but it caught my eye. 500Px photographer Taufik Sudjatnika has an incredible set of images of life in rural Indonesia shot with a Canon 5D Mark II and a Canon 70-200mm f/2.8 L lens. While many of these images may have been staged they’re still spectacular in composition and technical detail.